1Put the chocolate into a blender. 2In a small saucepan, whisk together the cream, egg yolks, sugar, coffee and salt. Set over medium heat and bring to a simmer, whisking; it will get foamy and then start to bubble around the edges. 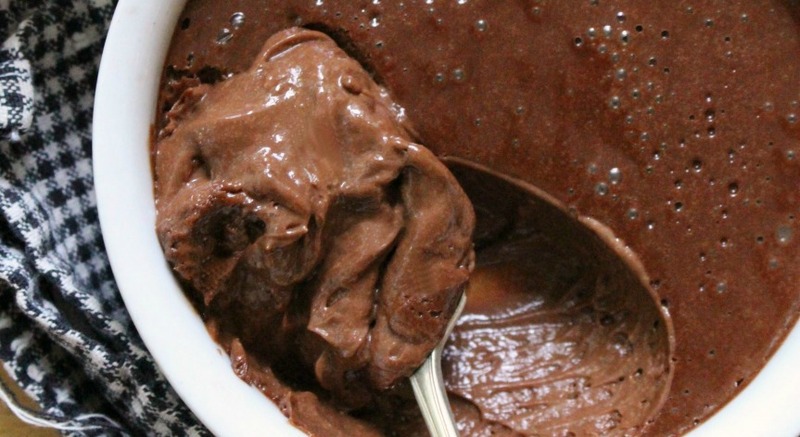 Remove from the heat and pour over the chocolate in the blender. Put on the lid, cover with a tea towel (just in case) and blend on high for a minute or two, scraping down the sides if you need to, until smooth and a bit airy/foamy. 3Pour into small dishes or ramekins and refrigerate for an hour or two, or overnight. If you like, top with whipped cream or chocolate shavings.